ISH – The problem with our pursuit for perfection and the life changing practice of good enough. There is so much pressure in today’s world: feeling stressed, busy trying to make an impact, trying to enjoy ourselves, to be mindful and relax and be minimalist, follow our passion, do our best, be happy and….. so many things we’re trying to do, be and have. Movements underway help us get control over our lives, to do more of the things we want to, removing the things we don’t want. From trends like hygge, tidying and de-cluttering to detoxing, disconnecting and the s-l-o-w movement of mindfulness and doing less. Many of these involve making decisions, prioritizing and removing or deleting things from our lives. When it comes to things, we can’t take them with us; and when it comes to time, we have a limited amount of it. No wonder we want to have and achieve the things that are important to us! incomplete : nothing is ever finished. While these might first seem gloomy, the reverse comes shining through. If these four things are always in play, we need to ‘get on with it’…. whatever ‘it’ is for us, making the most of what we have and who we have to share it with! We waste a lot of time worrying about things, spending time working on things and persisting with things that don’t really matter. Not really matter. There is this idea of ‘ish’ that we are already familiar with – it’s about accepting near enough or good enough on the things that don’t really matter. The way I see it: we need to care less about more; and care more about less. ‘Ish’ means somewhat. It mean reasonably or fairly, more or less. Ish is not finished or done, complete or perfect. It’s the opposite. It’s in progress, underway and wonderfully imperfect. Ish is not broken or stalled, stopped, undone, half-baked or problematic. Ish is about being in progress or underway. I love the ish-ness of life. It means give or take a few minutes. You’re open to meeting up a bit later (or earlier). Near enough is good enough. And it so often is good enough. For those who are perfectionists – fearful of rejection – ish can be uncomfortable. It is incomplete. It is imperfect. It will be flawed… but then nothing is ever perfect or finished or lasts forever or stays the same! The pursuit for perfection is sadly and wrongly on the rise — it’s no longer a badge of honour but an obstacle that prevents us moving forward. Students learning, beauties on social media, project managers fiddling with PowerPoint presentations and entrepreneurs finalizing pitches are examples of how we are increasingly – and foolishly – pursuing some idealized and undefined version of ‘perfect’. 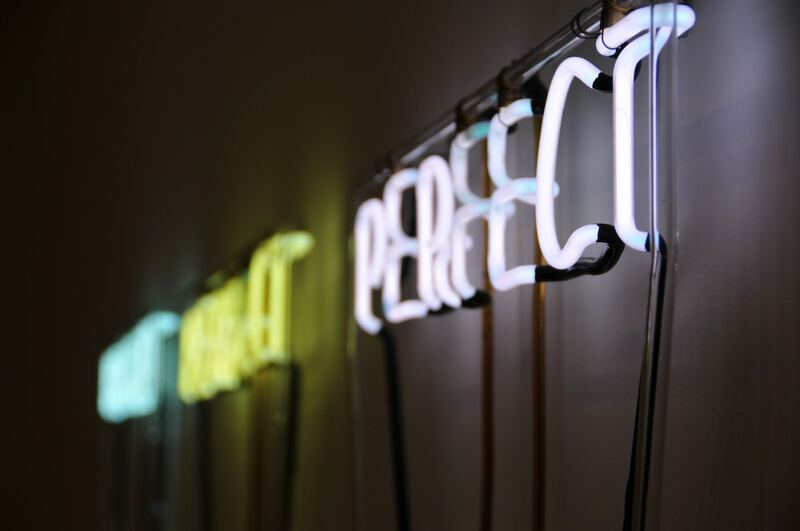 Perfection is an ideal. It doesn’t exist. We often start a project with great hope – of what the thing could be like. We work all hours completing great work. But at some point we must say ‘it’s done’ or ‘it’s good enough’ and press the button to launch, list or sell. If we continue looking for a Utopian perfect, we’ll never get there and we’ll only disappoint ourselves more. We end up in great waste where the return we’re getting doesn’t equal the effort we’ve put in. Mathematical theories make it so: like the Pareto Effect (the 80/20 rule) and the Law of Diminishing Returns. At some point our efforts become less worthwhile. At this point we must go live, launch or ‘send’. Even if we believe our project or idea isn’t ready yet, we need to learn from the world of software developers who launch their ideas at very early stages. Popularised by Eric Ries’ book ‘The Lean StartUp’, this approach says put your ideas out there when they’re not fully formed so you can test them, get feedback and make changes that will more likely guarantee success. It’s an iterative approach of improving as you go. It works better than slaving away for months (or years) pursuing the never-to-be-found perfect, only to find that people don’t want what you’ve devoted so much time and effort to or you’ve missed the opportunity by taking too long to get to market. Ish. Near enough is almost always good enough. It’s good enough to give people an idea of what you’re thinking. It’s good enough to share with customers and users so you can see if it’s something they actually want and need. Of course ish or good enough might not be for some aspects of life like surgery, engineering, aviation or food handling where life and limb are at stake! But we’re not all in operating theatres or landing planes and even then, not every single element of these require the highest standards of excellence. Even hospitals, engineers and airlines are constantly looking to improve. They know they aren’t perfect, and they are learning, testing and iterating. Ish is a lot of people out there. If it isn’t you (yet) it most certainly is someone you know, or live with or work with. For them, near enough will be good enough. It ties into the Japanese idea of ‘wabi sabi’ or imperfection and transience. When a piece of Japanese crockery breaks, the pieces are rejoined often with the join deliberately visible. It becomes a part of the beauty of the thing. In the words of Leonard Cohen, ‘there is a crack in everything; that’s how the light gets in,’ perhaps he was letting us know that ish is not just known or needed… it’s necessary. We see it in the wear and tear of things, the flawed beauty of things… and in people too. We can make it a positive part of our behaviours, standards and expectations too. Where can you let a little more ish into your life? -Visual Mojo: How to capture thinking, convey information and collaborate using visuals. She works with project teams, executives and senior leaders on major change and transformation projects. She helps people distil their thinking, apply ideas and innovation and boost the engagement and collaboration effectiveness of teams. Her programs in Sensemaking, Facilitation and Change are memorable, impactful and creative. Lynne is an experienced board director and chair. She is a partner with Thought Leaders and on faculty of Thought Leaders Business School.